Whitehorse businesswoman, history lover, and storyteller Gudrun 'Goody' Sparling died Monday at the age of 92. When Michael and Kathy Gates used to visit Whitehorse from Dawson City, they always stayed at the Regina Hotel on Front Street, where they were greeted by a familiar, welcoming face. Kathy says Gudrun Sparling — or Goody, as she was known to friends — was the "perfect Yukon host." "She was invariably at the front desk — not all the time, but the vast majority of times — there was Goody. And she'd maybe have a history question for us, or we'd ask her one, and it was all part of her wonderful character in that place." 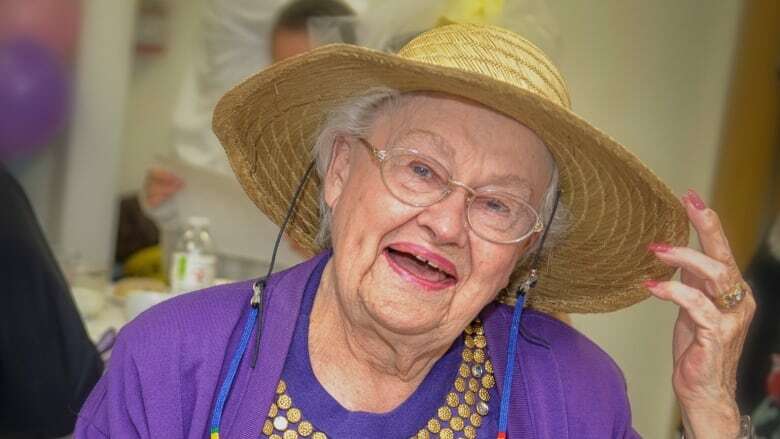 Sparling ​— a businesswoman, history lover, and storyteller, died Monday at the age of 92. Gudrun Ingeborg Erickson was born on Feb. 10, 1926, in Whitehorse. Her father, John Olaf Erickson, had come to Yukon during the Klondike Gold Rush before returning home to Sweden to marry his childhood sweetheart Kristina, in the early 1920s. 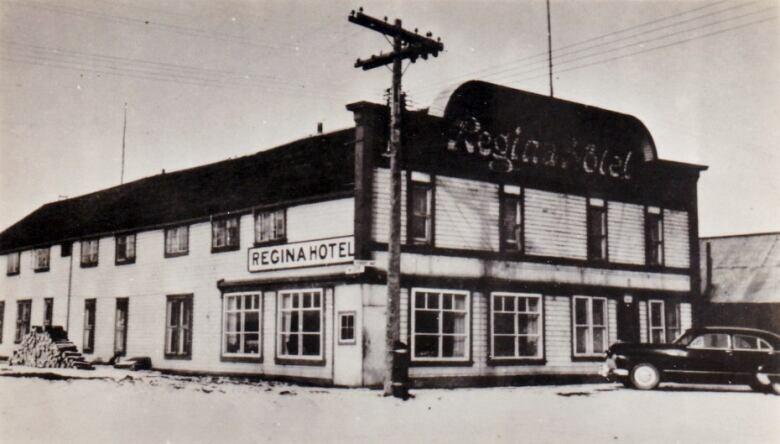 Erickson returned to the territory with his bride and purchased the Regina Hotel in 1925. That's where Goody and brother John Eric were raised. Goody married Joe Sparling Sr. in 1948, and left Yukon for Edmonton and Vancouver, where they raised two sons and two daughters. One of their children — Joe Sparling — would go on to become co-founder and president of Yukon's Air North. Goody returned to Whitehorse in 1978 after her husband's death and joined her brother in running the hotel. Michael Gates says he and Kathy always stayed at the Regina Hotel when they visited Whitehorse because it felt like "home-away-from-home." They loved visiting with Sparling and hearing her stories. One of the hotel's most famous guests was Joe Louis, the world heavyweight boxing champion. He stayed at the hotel during the Second World War. Yukoner Jim Robb says he remembers Sparling telling him about Louis's visit. Some American guests complained because they were letting a black man stay at the hotel. Robb says the Ericksons were unfazed. "They were very fine people. They said he's welcome to stay here." Sparling ran the hotel for 19 years, until 1997, and for most of that time, staff member Valerie Graham was by her side, as the bookkeeper. "She was a wonderful mentor to me, and over the years became a dear friend as well," said Graham. Graham and Sparling were both active in the MacBride Museum Society and the Golden Age Society. Graham describes Sparling as the "go-to" person for questions about Whitehorse history. She was always impressed with Sparling's ability to remember so much. Beyond history, Sparling loved chocolate and the two women often traded chocolate cookie recipes back and forth. Graham says Sparling always had a sense of adventure. She remembers when Sparling and a friend spontaneously decided to drive to Prudhoe Bay, Alaska. "So there they go, two seniors on a road trip like a couple of college kids." Graham says above all, she will remember Sparling as a gracious hostess and an elegant lady, "in every sense of the word." Sparling's children say their mother distinguished herself at the Thomson Centre in Whitehorse by her extensive wardrobe, many pink outfits and sparkly fingernails. They say her chocolate stash was never far from reach. They are planning a celebration of life and said an announcement will be made when the details are finalized.